If anyone knows me, knows I love music. It’s my first love, it runs through my veins, and I’ll never break away from it. I’ve listened to several musicians that were signed to Stax Records., but I first learned about Stax Records after watching the documentary WattStax (if you haven't watched it, search for it on YouTube). Musicians like Isaac Hayes, Johnny Taylor, Otis Redding, The BarKays, and The Staple Singers were part of Stax Records. When I heard there was a Stax Museum in Memphis, Tennessee mid-2018, it quickly became my travel goal of 2019 to visit Soulsville, USA. Stax Records was a staple in the African American community, so stepping on the grounds of the facility made me feel like I was in the perfect place. There’s free parking, admission is $13 for adults, $10 for children ages 9-12, free for children 8 and under, and $12 for senior, active military, and students with school ID. You first watch a short video about the history of Stax Records, the history of music in Memphis, and the difference between Motown and Stax. The video could have lasted for an hour and 30 minutes, and I would’ve been fine. Once the video was over, you walk behind the presentation wall and see a replica of a very old church. The church is where it all began for most musicians. Church comes with a music history so strengthening and that's when you figure out that’s where the soul comes from. Gospel music is the basis, the foundation of any genre of music. That’s when you step into another section of the museum you walk into a room of rock n roll, jazz, and blues. Artists like Ike and Tina Turner, James Brown, Louis Jordan, Little Milton, and B.B. King. Next section of the museum, things get a bit funky but soulful. Starting with Carla Thomas and her Funky Chicken Father Rufus Thomas. So much memorabilia such as record contracts, record machines, records, and lovely clothing. Photos of the admin such as the secretary, treasurer, and lawyers. Then, there is a dance floor with a disco ball and a wall showing old school Soul Train performances where the kids and adults could show their best dance moves. Things got funky and soulful, full of soul and blues music. Artists like Little Milton, Johnny Taylor, a bit of Otis Redding, and Bobby ‘Blue’ Bland. (Woo!) The music teachers such as Sam and Dave, Rufus Thomas, Wilson Pickett had all the right equipment to make hits. Not just the artists, but the recording equipment and studio. You get to walk and see where the artists laid down the soulful hits. The huge recording room probably had the best acoustics to handle voices like Aretha Franklin, Al Green, Isaac Hayes, and so many more. Once I stepped out the studio and stepped into another realm that reminds you of how many hits Stax Records had created. Oh My God! Record cover, records, and A-tracks filled up a 10-foot tall and 20-foot wide wall left and right side, and another wall. Movie soundtracks, comedy records, and compilations that made my eyes and heart flutter. But, once you pass all the records, you run into an Isaac Hayes’ Grammy for Shaft and behind that is his 24-Karat gold Cadillac which is one of the main attractions. After experiencing the Stax Museum, my heart was full. The artists of Stax went through so much and definitely left a lasting impression in the African American community. The museum was worth every penny, and I know my penny will be going back into the community. 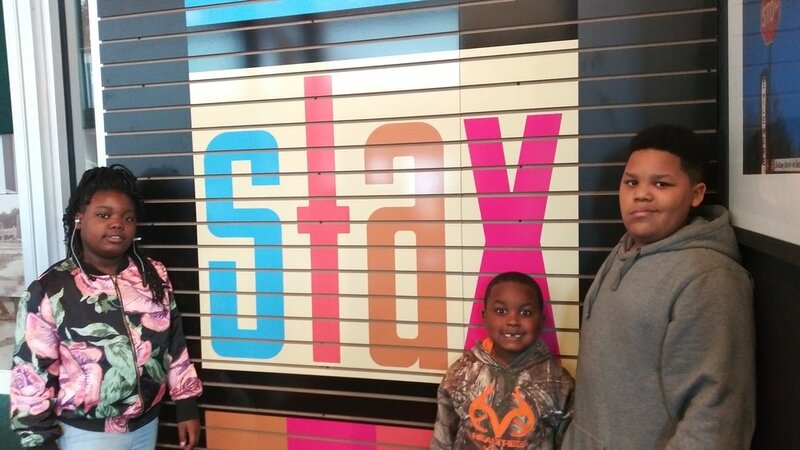 The Stax Museum proceeds go to their institution to young musicians in the community. If I ever go back to Memphis, Tennessee, I’m definitely revisiting the Stax Museum.